We’ve mentioned some hemp-based CBD products on a couple of past blog pieces, most notably Evie’s Drops, Be Trū Organics and Charlotte’s Web Hemp, Sisters of the Valley some of which have a better reputation than others. Then there’s other ones we know are great, like Jayden’s Juice. Though we’re generally critical of hemp-based products, there could well be some decent ones out there. Generally speaking, the hemp-based CBD products found on the US market are inferior in comparison to their European counterparts due to their testing standards, but this is a simplistic look. Whether or not US-grown hemp is better than European-grown hemp or not, we do not know for definite (the data on this is mixed, as far as we know), but the process and dedication of the farmer/s and product-makers matters. Some European companies and products, such as Cibdol, seem to be making high-quality products, but again, we cannot know for sure without testing. The reason why we tend to warn people of CBD products made from hemp is because such products are often made without any regulatory oversight, especially in the United States. There are a lot of hemp-based CBD products that are not whole plant extracts, and are often made with industrially-grown hemp grown in areas with high levels of pollution. The other reason why we tend to warn people of focusing on hemp-based CBD is because cannabinoids such as THC and THCV are unfairly maligned, and some people may in fact benefit from some THC, even non-psychoactive amounts. CBD is a hot topic, but really all cannabinoids should be a hot topic because many of them have fascinating medical properties! Endoca claims to be “The world’s best hemp CBD oil for sale”. Whether this statement is true or not, we’ll leave it to those who try the product to judge for themselves. So, what’s so special about Endoca’s CBD oil? Well, they apparently give an accurate concentration (%) of cannabidiol (CBD) and cannabidiolic acid (CBDa), all the hemp used in their products is certified organic, is produced under pharmaceutical control and is tested by third party laboratories. Endoca also uses CO2 extraction methods, and the hemp’s terpenes and flavonoids are retained. Though reviews can be gamed to a certain extent, it seems that most reviews on Endoca are genuine. They also give a breakdown as to what their hemp oil drops contain, which includes: hemp seed oil (80%); phytocannabinoids (3%), approximately 1-2% of which is CBDa and 1% is CBD; contains low concentrations of other cannabinoids like cannabichromene (CBC), cannabigerol (CBG), cannabinol (CBN) and cannabidivarian (CBCV); terpenes like myrcene, limonene, alpha- and beta- pinene, humulene and beta-caryophyllene; and lots of the flavonoids and other compounds found in cannabis plants of all types. Sure, it’d be great if companies like Endoca could use marijuana rather than hemp plants for their extracts as well, but hopefully this will change one day when federal laws start to reflect the will of the public. Like any cannabis farm, producer or product-maker worth its salt, Serenity CBD uses organically-grown hemp. However, Serenity have gone a bit further and state that their hemp comes from Colorado as well, which should make them more trustworthy, as it hopefully means that their hemp products are not made using mass-produced, industrial hemp from other countries. In fact, Serenity’s website even gives the name of the farm their hemp hails from: Honahlee Farms. No pesticides or herbicides were used in the growing of the hemp, and the hemp oil is extracted using CO2. Serenity has two oils, one with 500 mg CBD and the other with 300 mg CBD, with no more than 0.03% THC per bottle. The oil can be used both internally and externally, and the hemp oil is infused into high-quality coconut oil. Bluebird Botanicals have quite the range of products. Their most popular ones seem to be their original and concentrated extracts, which are concentrated versions (x 6) of their classic extracts. There are three main extracts Bluebird Botanicals make: Hemp Classic, Hemp Signature Blend and Hemp Complete. Hemp Classic has 250 mg CBD (1500 mg CBD concentrated extract). Hemp Signature Blend has the same amount of CBD as the Classic contains, but also frankincense and black cumin. Hemp Complete, meanwhile has a CBD:CBDa ratio of 1:1, so that’s 125 mg CBD:125 mg CBDa in a non-concentrated bottle, or 750 mg CBD:750 mg CBDa in the concentrated bottle. Bluebird Botanicals uses steam distillation in order to extract the cannabinoids and terpenoids from the hemp plant. As it’s a full-spectrum extraction, Bluebird Botanicals’ oils also contain some amount of CBC, CBG and CBN, as well as all the terpenoids and flavonoids you’d expect from a hemp plant (e.g. myrcene, alpha- and beta- pinene, limonene). As hemp is quite healthy, these oils also contain omega-3 and omega-6 fatty acids, vitamins B1, B2, B6 and D, trace minerals like zinc, iron, calcium, magnesium and potassium, beta-carotene and much more besides. Other than the oils, Bluebird Botanicals also makes hemp capsules and vape liquids. However, Bluebird’s most impressive feat so far are the CBD and CBG isolates they’ve produced, which are 98% pure and 92% pure respectively, and come in powdered/crystalline form. They are also tested for potency, solvents, heavy metals and pesticides, like all Bluebird Botanical products are. This means you can buy the isolates and use them however you like, whether added to food and beverages, dabbed or blended into a lotion or ointment. CBD Alive do a range of various products, selling their own CBD-rich oils, elixirs, suppositories, and tinctures. Although CBD Alive uses THC in many of their own products, it is clear that the CBD is the focus. This is a good thing, as it shows that CBD Alive takes the entourage effect seriously, and realises that THC helps CBD do its job better. Of course, this means that their products use psychoactive cannabis as opposed to hemp, so won’t be available to buy in many states. There are 3 main products CBD Alive sell, all with around 600 mg of cannabinoid content per 1 gram applicator: “Abundant Oil”, which is 20:1 CBD:THC (approx 570 mg CBD:30 mg THC); “Plentiful Oil”, which is 10:1 CBD:THC (approx 545 mg CBD:55 mg THC); and Balanced Oil, which is 1:1 CBD:THC (300 mg CBD:300 mg THC). Abundant Oil is rarely ever psychoactive, Plentiful Oil can be psychoactive, especially when taken in high amounts, and Balanced Oil is very definitely psychoactive to what some might call to a “balanced” degree. CBD Alive also do their own vape cartridges, capsules, suppositories, skin elixirs and even a CBD product for pets! All of CBD Alive’s oils and tinctures are made from sun-grown, sustainable cannabis farms. They are all whole plant extracts using a CO2 sub-critical process. 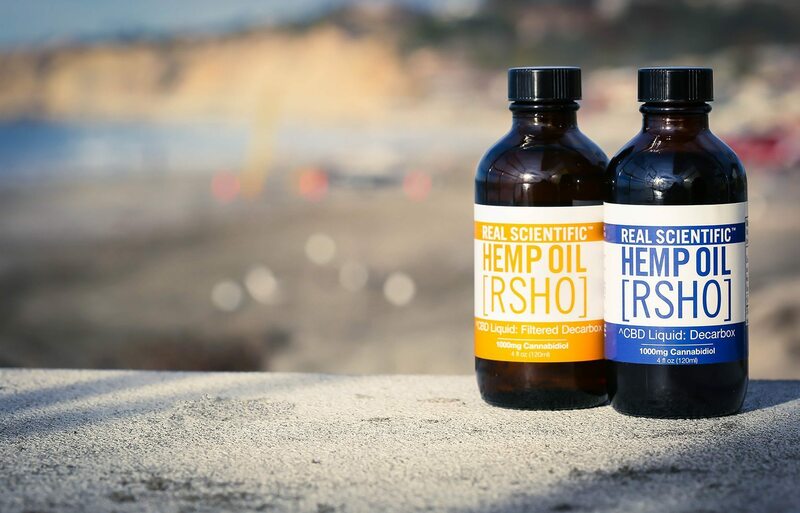 RSHO is actually the flagship product of the brand, HempMeds, who sell hemp-derived CBD products from other well-regarded brands like Dixie Botanicals, Cannabis Beauty Defined, Cibdex and Cibaderm. However, it’s RSHO that’s the main star of the show for many people, and it comes in many forms: oils, capsules, tinctures, salves and liquids. There are also different CBD concentrations available in each product, ranging from 25 mg capsules to coconut oil-based, hemp-infused liquids with 5,000 mg of CBD in them. This means that RSHO carries products containing some of the highest CBD concentrations around! RSHO was quite possibly the first publicly-recognized, mainstream CBD oil in 2012, and by 2014 RSHO became Brazil’s first ever legal CBD oil, where it is subsidized by the government and covered by health insurance. In 2016, RSHO-X, which is completely THC-free, became the first ever legal CBD oil in Mexico. Today, RSHO is legal in all 50 states in the US and in 40 countries around the world. Like all the other hemp-derived CBD products and brands on this list, HempMeds/RSHO uses US-grown hemp (CBD is still illegal when shipped in to the US from outside, sadly). RSHO is also a whole plant extract, meaning you will get other phytocannabinoids like CBC, CBCV, CBG and CBN in their products, as well as omega-3 fatty acids, terpenes and the vitamins and minerals hemp is known to contain. Though we generally recommend getting CBD-rich products from dispensaries – ones made using marijuana plants rather than hemp plants – the ones we’ve mentioned in this post are worth a try due to the fact that they’re all whole plant extracts from US-grown hemp. However, we can imagine that not all hemp-derived CBD products are created equal, and we also realise that there are many people in need of various cannabinoids but can’t get a hold of them due to legal restrictions. Many – though not all – of the products in this article should be legal to buy throughout the United States and even delivered to many other parts of the world. Also, many people are somewhat afraid of the psychoactive effects of cannabis, and these products could be potentially either be an approachable alternative or a good introduction to the world of medical cannabis. We still recommend getting yourself a medical marijuana card and trying out the highest-quality meds available from your dispensary, though. That many of the products mentioned in this post contain little-to-no THC could be doing them a disservice, and even the low-to-no THC, CBD-rich products available in dispensaries could be better as they are using better quality plants with different cannabinoid and terpenoid makeups. This means a greater variety of meds are available to a MMJ card holder. 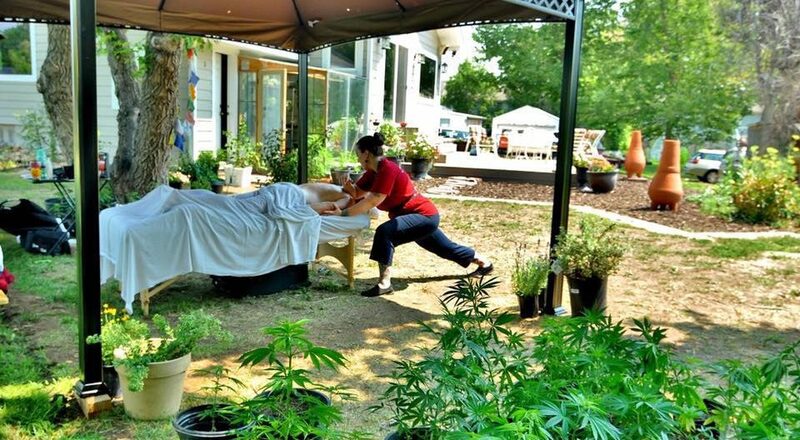 Yet, it could be worth trying out high-quality hemp-derived CBD for pain if you can’t access medical marijuana, as they may just well work for you, and you needn’t get any legal headaches! Just check as much as possible for ingredients and testing.